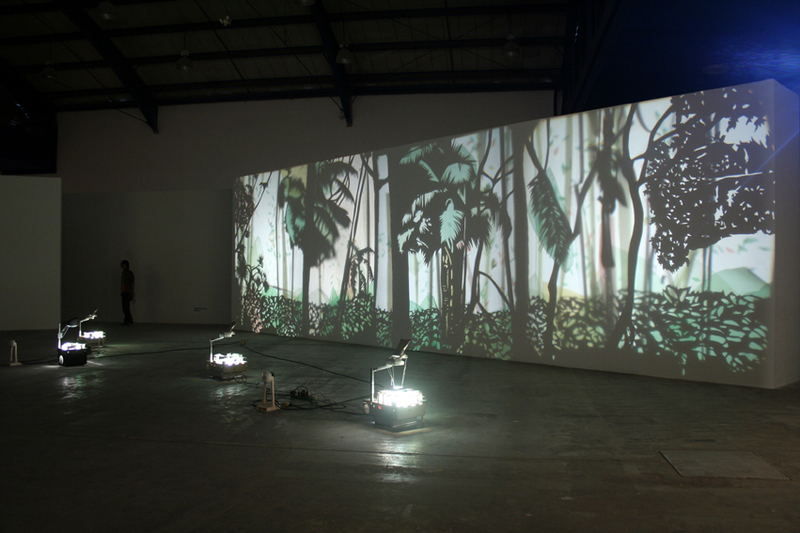 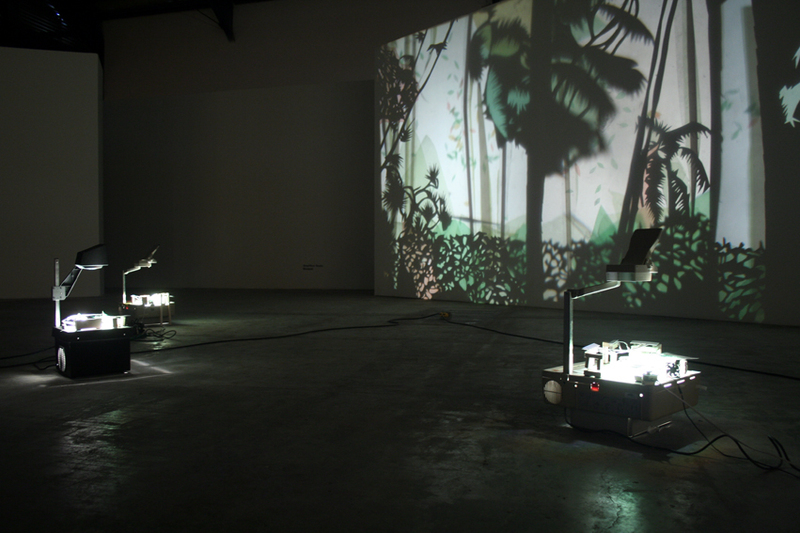 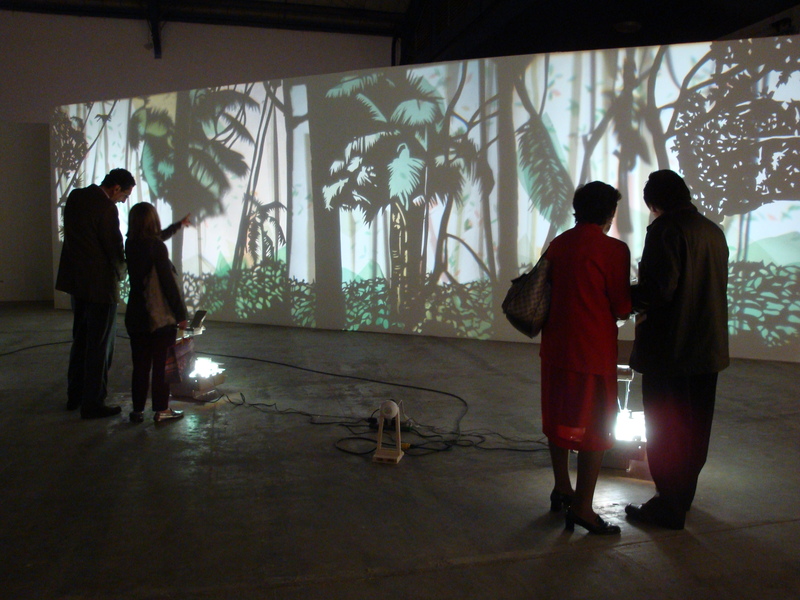 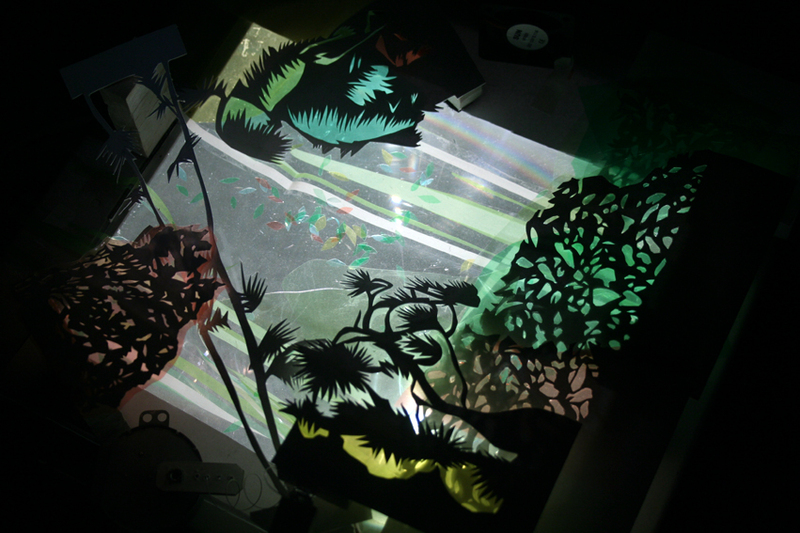 Installation of a projected forest with overhead projectors, cellophane and paper templates. 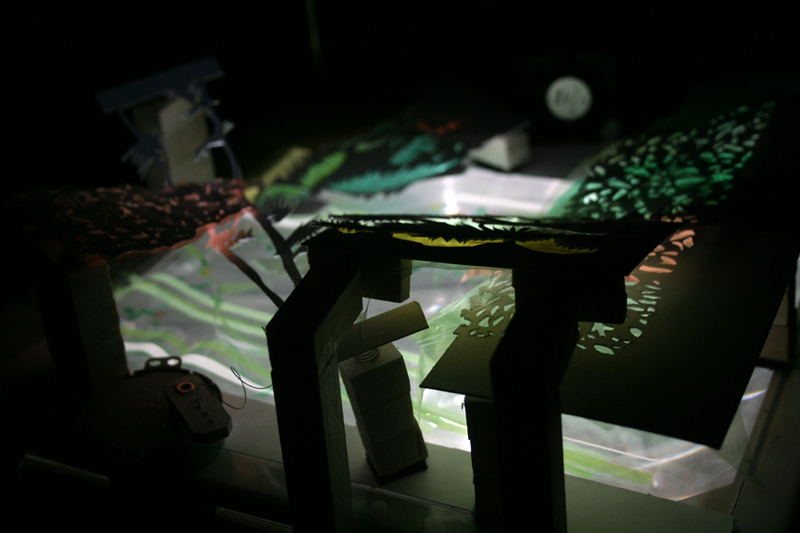 This installation is part of a project that has its starting point at the alleviation of claustrophobia created by the city life. 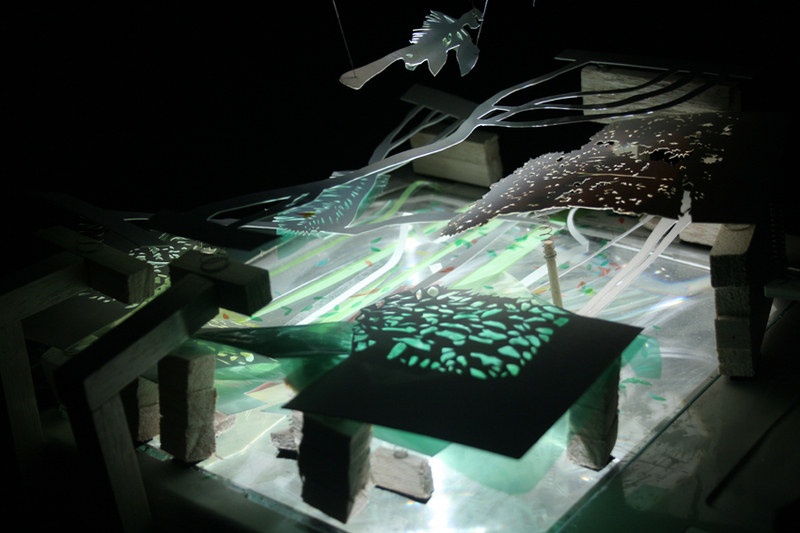 This project aims to create awareness about the loss of nature in urban areas. 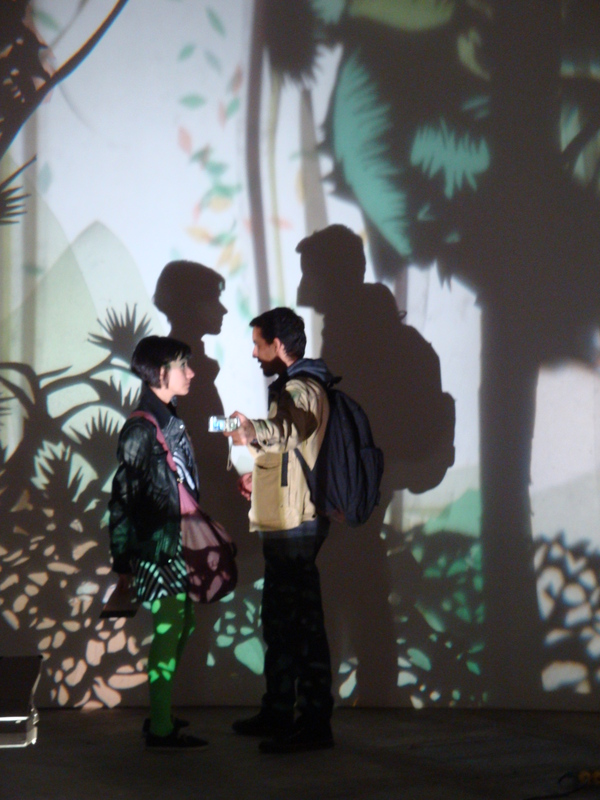 This is therefore a great Brazilian forest projection that invades any interior space. 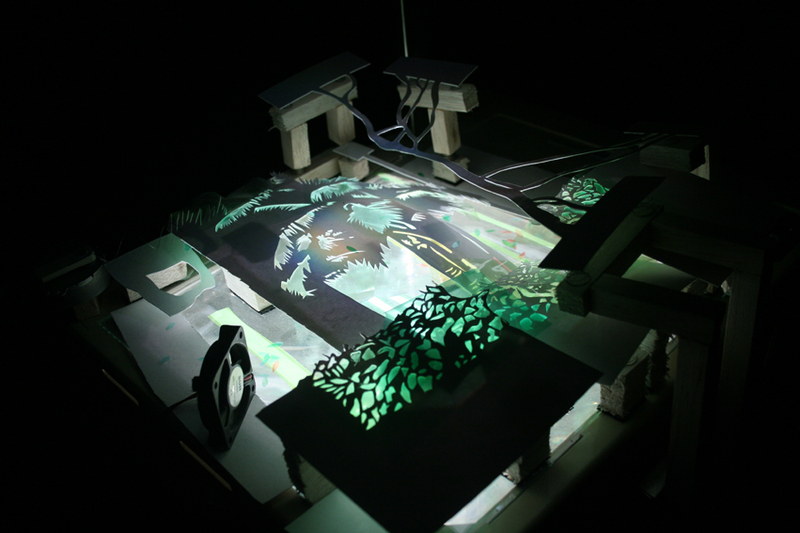 The installation is composed by four overhead projectors, 62 paper templates (in the shape of trees), cellophane paper, small engines and computer fans that create a 16m indoor “mass of nature”.